For every individual, the decision regarding if to undergo cosmetic surgery is a major one in his/her lifetime. Some people choose cosmetic procedures in order to improve any altered body feature while some desires for a beautiful and attractive appearance. Different factors such as aging, congenital defects or deformities, and environmental aspects, contribute a great part in badly affecting the overall body appearance. Cosmetic surgery has the power to make even an impossible thing related with balanced body proportion happen. The growing consciousness of the people towards various beauty aspects, necessitates the need for cosmetic clinics. As different cosmetic procedures carry a different price so people try to stay back from undergoing any type of cosmetic surgery. Most of them fear of paying a high amount for these surgeries to acquire a dazzling look. However, many Asian countries such as India, offer quality health services at a merely affordable price. So it becomes an easy job to undergo cosmetic surgery done at low cost. Typically, cosmetic surgery consists of two kinds of procedures: non-invasive and invasive. 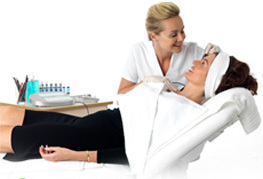 Procedures such as skin resurfacing, form the base of non-invasive cosmetic procedure. In invasive plastic surgery, procedures such as liposuction, breast augmentation, face lifts etc. are included. Researches show that only about 10% is accounted for cosmetic surgery for men, but this rate is continuously increasing day-by-day. Not much increase is observed in the cosmetic surgery rate for women. It is believed that a beauty conscious individual apart from improved look, would always look for an additional benefit. The cosmetic surgery for foot involves deformity correction, function restoration and enhanced foot appearance. A cosmetic surgery for eye tends to improve lower and/or upper eyelids along with the surrounding structures. The modern era makes use of various light-based technologies in the field of cosmetic surgery. These are found effective to treat dry skin lines and wrinkles, hair removal, precancerous or dusky lesions, etc. With the emergence of a vast number of technologies, cosmetic surgery has become an easy job. But still, the risks or complications associated with these surgeries cannot be neglected. Getting complete information about the procedure from the consulting surgeon before surgery is necessary. Some of the commonly seen dangers of plastic surgery are reaction to anesthesia, uneven scarring, blood clotting and bleeding, breathing problems, etc. The individuals who suffer from cardiovascular disease are primarily prone to risk of obesity, lung diseases or heart problems. Often, opting for a cheap surgery enhances the risk factors in a person. The surgery should be confirmed only after making sure that the risks does not outweigh the surgical benefits. The success of the surgery lies in choosing an excellent center and skilled surgeon for performing surgery. If the surgeon is inept and lacks experience, then dangers within the surgery are significantly enhanced. So accurate and desired results can only be obtained if an expert surgeon with quality health services from the hospital are involved. The cosmetic surgeons in India are well in demand for possessing high level of surgical proficiency. Also, the hospitals provide desired treatments at a much affordable rate. All efforts are taken to make the cosmetic surgery procedure safe and effective. The cost of different cosmetic surgeries is seen to vary significantly. Certain factors such as the type of procedure, duration and severity of the procedure, geographic location and the experience of the surgeon, greatly affects the price for cosmetic surgery. Typically, a cosmetic surgery cost involves three fees: fees of the surgeon, anesthesia fees and fees for facilities offered. India has become a common place for tourist guests to undergo various cosmetic surgeries. This is owing to the fact that cost of aesthetic surgeries in other countries such as the United Kingdom, the United States, etc. are much more costly. Apart from cost, quality is an another important factor where it is difficult to beat India. All surgeries are done, keeping in mind the desires and aspirations of an individual. In India, all possible efforts are taken to provide a beautiful proportion to the body.